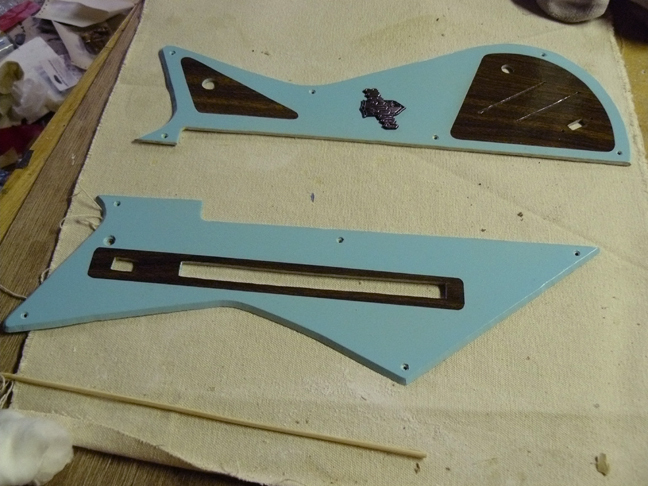 This was a one of a kind build, initially the design was inspired from a set of switches I obtained from a 60's organ, it eventually grew into a mashup design monster based off of Big Daddy Roth, 50's Italian Eko guitars and campy sci-fi. 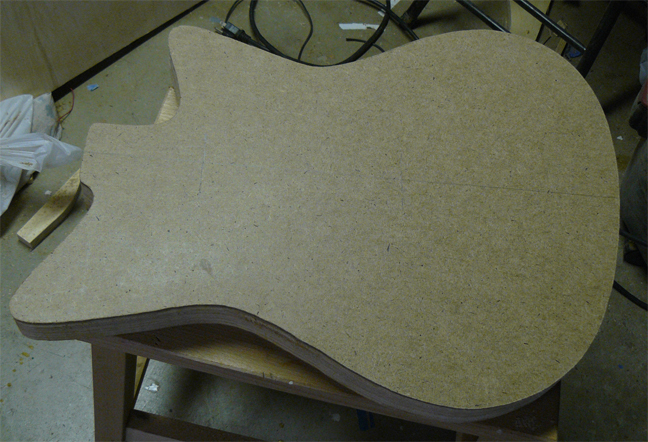 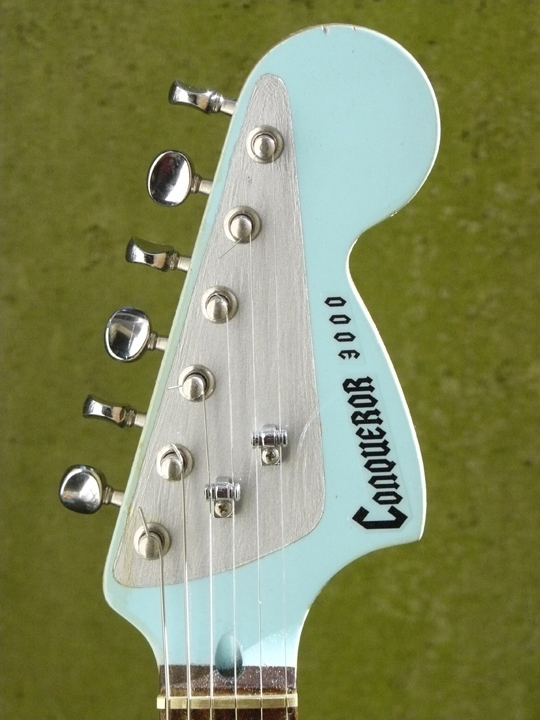 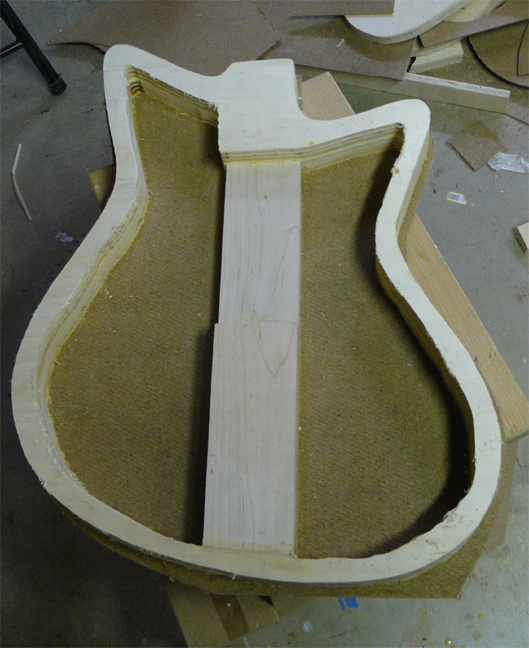 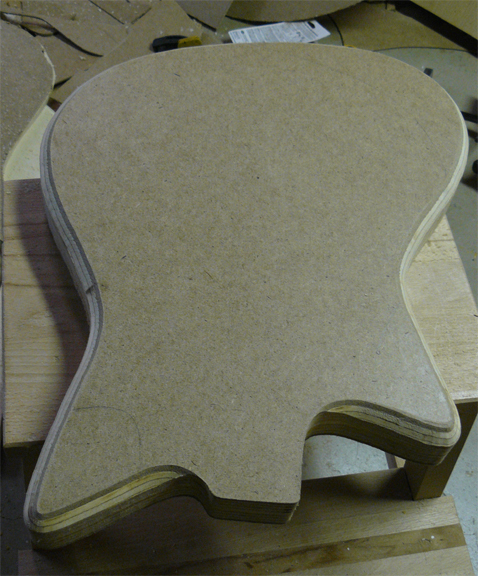 The construction was inspired by Danelectro guitars. 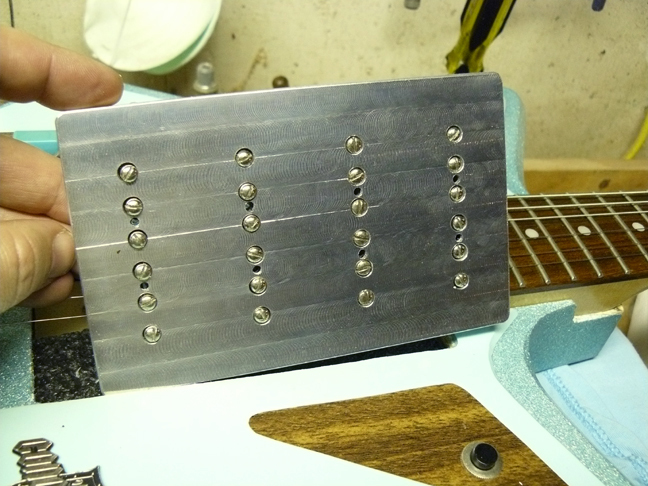 The pickup cover was milled out of a solid piece of aluminum by a good friend and it houses four P90 pickups, or better known now as a P360. 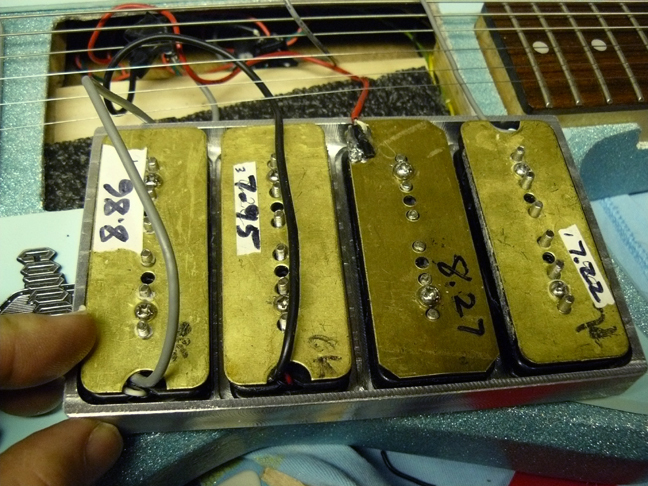 The bridge is also a solid bar of aluminum that I built from ready made materials. 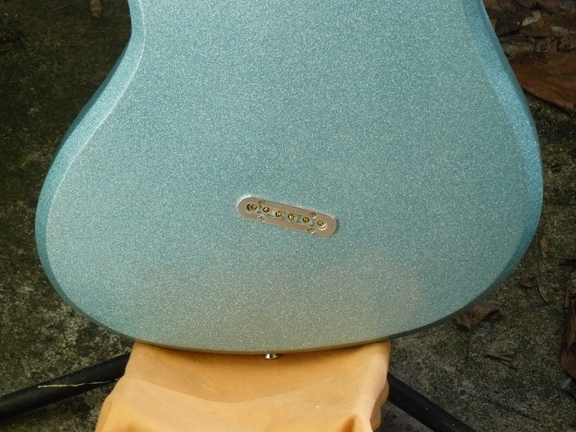 The color is glitter blast and is finished off with an acrylic gloss coat.